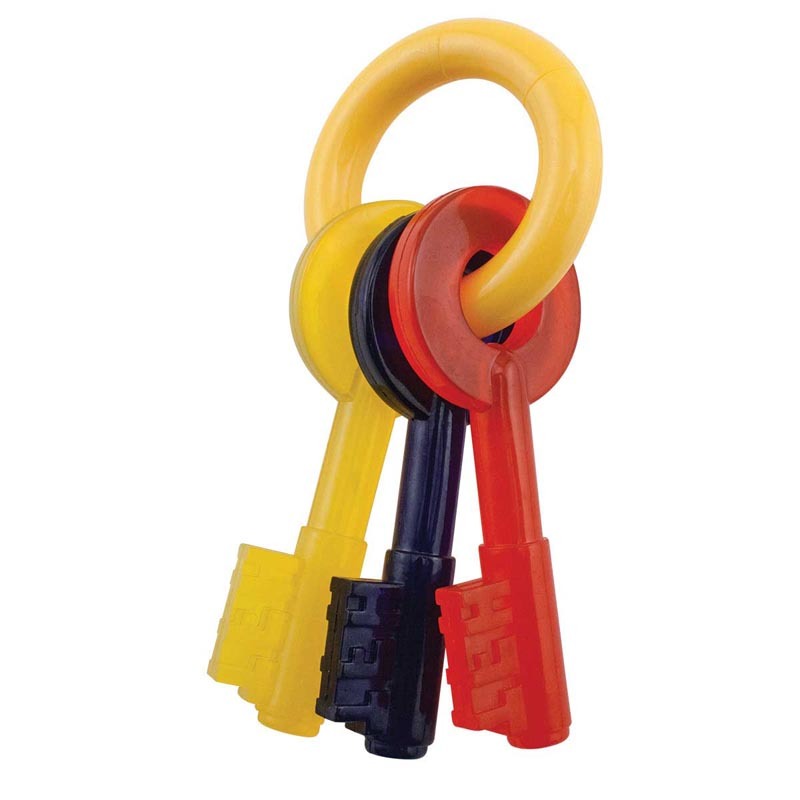 Brightly colored bacon flavored teething keys. Perfect flexible chew for teething puppies. Helps clean teeth and keeps puppy occupied.